Oil, Propane, Natural Gas, Gasoline at the pump, & Electricity prices double, triple, and quadruple. Utility rates won’t stop rising. The information included here is meant to get you started on your way toward living a more energy efficient and lower monthly costing lifestyle for many decades to come. It is our hope that you don’t have to change your lifestyle radically but rather change some habits you have developed over the decades of having no other choice. You now have a choice! You can choose alternative energy savings that enable you to reduce or eliminate your utility bills. Information such is available and free all over the internet. It now enables you to take direct personal action to protect the environment, provide security for your family, and reduce your electrical utility bill. 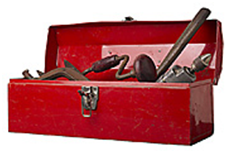 You can take a few simple steps to insure many years of automatic operation, without producing noise or pollution, and without requiring fuel or extensive mechanical maintenance. Your energy bill is determined by the amount of electricity your household uses each month. Your utility reads your meter every month and calculates your bill based on that read. By reading your own meter, you can keep track of your daily energy use, and see how well you are conserving without waiting for your monthly bill. Conservation is the key to lower energy bills. 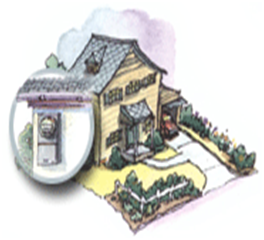 Your meter is located close to where the utility line connects to your house, and can be either inside or outside. Do you know where your meter is located? Reading your utility meter is not as hard as it might seem. Each month, utility meter readers read electric meters and your consumption is determined by subtracting the previous month’s meter reading from the current month’s reading. Meters usually are highly dependable and are randomly tested for accuracy. Traditional Dialed Meters: The first thing to realize is the dials don’t spin in the same direction. They spin into each other (as noted below). On your electric meter there are either four or five dials. The dials rotate in opposite directions. In this example, the pointer on Dial A rotates clockwise, while Dial B pointer rotates counter-clockwise. A standard billable unit of electricity is a kilowatt. Electricity is measured in kilowatt-hours (kWh). A kilowatt is one thousand watts of energy. For example, a 100-watt light bulb burning for 10 hours uses 1,000 watts-hours, or 1 kilowatt-hour (100 watts x 10 hours = 1,000 watt-hours, or 1 kWh). The meter operates like the odometer in your car, registering ones, tens, hundreds, and thousands of kilowatt-hours. Some meters have a digital readout, others have dials. You can read your own electric meter by following these steps. Start with the left dial on the meter (Dial B on a four dial meter and Dial A on a five dial meter). If the pointer is between two numbers, always choose the smaller number. If a pointer looks like it’s exactly on a number, always look to the dial immediately to the right. If the pointer on the right dial is between 0 and 1, record the larger number on the left dial. If the pointer on the right dial is between 0 an 9, record the smaller number on the left dial. Electric meters keep track of how many kWh’s you’ve used. When you learn to read your meter, you can subtract a past reading from your present reading and find out how many kWh you have used since the past reading. This is how your electric utility determines your energy usage when they calculate your bill. New DIGITAL Meters: The newer electric meters are digital and have an added feature to them. These devices can actually be read from the utility companies office. In some cases the signal is sent down the line from the electric meter to the utility company that identifies your particular meter. There are a variety of digital meters being used today. Digital meters present a lot of data, but most people are looking just for “kWh”. Some digital meters record both “On-Peak” and “Off-Peak” kWh. You can either add the 2 numbers together or look for the “T” kWh for a total. Typically there is a digital readout with standard 5-digit display showing the total kWh of energy consumption. This number is usually cumulative. The display usually switches between different readings. There usually is an arrow or small black boxes showing the direction of electricity (forwards for consumption or backwards from generation from wind or solar panels). Today’s new digital meter offers opportunities to consumers. The two-way communication capability enables the utilities to automatically measure electricity use, and it also allows consumers to monitor how much electricity they are consuming in real time. More and more homeowners can go online to a utility-provided website 24 hours a day to see how much electricity their home is using. And they can compare their usage day-by-day and week-by-week. In this way, homeowners have better awareness and more control over how to manage their monthly bills. Studies have shown that awareness of home usage motivates homeowners to take simple steps, such as turning off unnecessary lights or adjust thermostats in an effort to use electricity more efficiently. These actions typically lead to monthly energy savings of around five percent per household. The digital meter’s two-way communication capability also allows utility companies to respond to power outages quickly and with greater accuracy. Smart meters can alert utilities when a home loses power, even when no one is home. This ability is particularly important for vacation home owners who can be away for long periods. Smart meters allow utilities to get repair trucks on the road quickly, target trouble spots, and fix them. For a utility’s customers, this means more reliable and safer service. As part of the overall smart electric grid, smart meters provide greater information to utilities from a single home to neighborhoods and across national transmission lines bringing power to urban and rural areas throughout the country. This aspect of the smart grid also has capabilities to detect and repair system problems, potentially averting glitches before even the slightest flicker of a light bulb. Tier One: The base line is typically around the first 250 kWh’s used by the residence per month and would be billed at around $0.128 per kilo watt hour (kWh) or $32.00. Tier Two: The next 100 kWh’s (from 251 to 350), are presumed to be low usage and would be billed at $0.153 per kWh or $15.30. 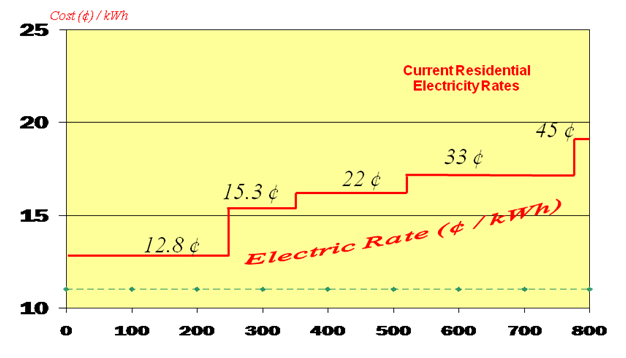 Tier Three: The next 175 kWh’s (from 351 to 525) would be billed at $0.22 per kWh or $38.50. Tier Four: The next 250 kWh’s (from 526 to 775) would be billed at $0.33 per kWh or $82.50. Tier Five: The last 175 kWh’s (from 776 to 950) of the above example would be billed at $0.45 per kWh or $78.75. While the above totaled 950 kWh’s equals a total bill of $247.05 may seem a bit high these days, with ever increasing rate hikes from the utility, the above example is an unfortunate inevitability. So once you have figured out what your average price per kilo watt hour (kWh’s) you can then apply this average price to your savings and/or production to then calculate your estimated average energy savings. Your electric bill savings can be estimated by multiplying the average energy output value by your electricity cost. You can find your local electricity cost in your electric bill. Look for the cost per kilowatt-hour or kWh. Include all taxes and surcharges, as all of these costs will be displaced by your solution. A residence in the Los Angeles area of California with solar panels could have an average output of a small solar electric system of say 285 kWh per month. This represents an estimate of the average annual amount of energy that would be produced from the solar system and therefore would not have to be purchased from the local utility company. In areas where the local electrical energy cost is greater, then the savings will also be greater. 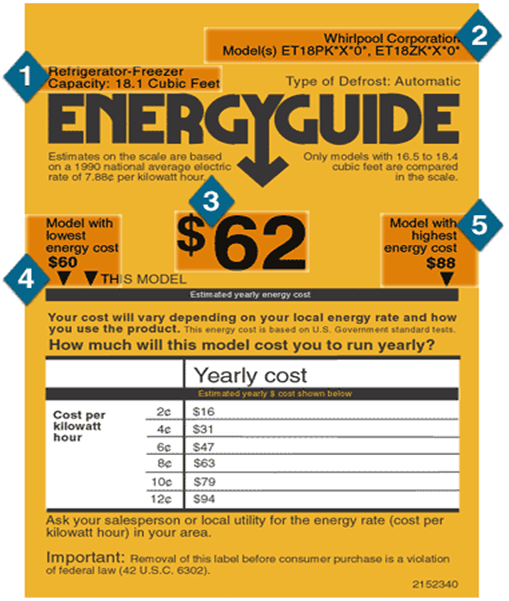 It is therefore very important to know your actual local energy cost. It is very important to understand that the estimates for energy production presented above are based on average weather patterns over the past 10-20 years and assumptions of no shading obstructions and true south orientation. Your particular installation and local micro-climate conditions will very (non-south orientation, dust and dirt, shading, fog, etc.). Your actual output in any month will be different, with winter months resulting in less and summer months probably producing more. Investing in a solar electric power system is one smart way to reduce environmental pollution and your household electric bill at the same time. To further reduce your bills, it is important to become more aware of your energy usage throughout your home. Appliances draw power at a rate measured in WATTS. (For example, a 60-watt light draws power at the rate of 60 watts continuously.) Power consumed over time is energy that is measured in WATT-HOURS or KILOWATT-HOURS. For example, a 60-watt light used for four hours consumes 60 watts x 4 hours = 240 watt hours or 0.24 kilowatt-hours (kWh) of energy. When you pay your electric bill, you are paying for the energy (kWh) you have consumed over a set period (usually one or two months). One major load in your house is lighting. Incandescent lights (common light bulbs that have a wire that glows) are very inefficient, generating mostly heat with less than five percent of their energy turning into actual light energy. Replacing incandescent lights with fluorescents can greatly reduce your electrical energy consumption. Compact fluorescent lamps (CFL) are now short enough to fit into most fixtures, can produce good quality color, and consume approximately ¼ of the electric power of equivalent incandescent bulbs and last approximately 10 times longer, justifying their higher initial costs by paying for themselves many times over. Turning lights off when not needed, keeping the refrigerator door closed, and replacing old inefficient appliances with new efficie3nt models all contribute to lowering your electrical energy consumption. For example, new large appliances such as refrigerators, dishwashers, washing machines, and air conditioners, consume much less energy than older models. Compare your current appliances to atypical appliances in the market today. Typical Wattage Requirements for Common Appliances: Use the manufacturer’s specs if possible, but be careful of nameplate ratings that are the highest possible electrical draw for that appliance. Beware of appliances that have a “standby” mode and are really “on” 24 hours a day. If you can’t find a rating, call us toll free for advice (888) 814-0808. 1. The type of appliance, size, features and capacity so you can compare brands. 2. The brand and model of the appliance. 4. The lowest estimated annual energy cost for competing brands. Check to see if you can reduce energy costs. Higher than average air conditioning use. Refrigerators and freezers working harder. Increased use of portable electric heaters. Increased use of fans in heating systems. Bill may include an unpaid balance. An unpaid balance from another one of your utilities accounts was included on your bill for this account. Meter Reading Accuracy Even though the accuracy of our Meter Reading employees is greater than 98%, meter reading errors do occur. To verify the accuracy of our reading, you can read your own meter and submit your read to us by online form or by calling our Customer Service Department at your local utility. Where are your energy dollars going? Most households can save on energy by updating old, inefficient appliances, making minor household repairs, modifying electricity habits, and making other smart choices about using electricity. Attics and Ceilings: A poorly insulated attic allows much of your heating and cooling costs to go out the roof. As a result, it’s well worth your while to install or add insulation to your attic. Insulate around all pipes and plumbing vents, and on top of attic access panels. If your home does not have an attic, insulate the ceiling of the top floor instead. Outside Walls: With little or no insulation, the walls of your home allow valuable warm air to escape during the winter and unwanted heat to invade your home during the summer. Insulation reduces this heat flow and saves energy — and money — all year round. Only consider installing insulation in walls with no existing insulation. If your walls are partially insulated, your energy savings from the added insulation won’t be enough to offset the installation costs. NOTE: Have a licensed contractor install your wall insulation. This is a big job and needs to be done properly for you to enjoy the benefits of the insulation. Room by Room: There are great ways to save money in every room of the house. Even minor adjustments to your basic appliance usage in the bathroom, kitchen, bedroom, laundry, or den, can make a difference. Kitchen: Your kitchen uses more energy than any other area of your home. Good energy-efficient kitchen habits can make a real difference in your electric bill, especially when it comes to cooking, refrigeration, and dish washing. If your refrigerator is more than 8 years old, if makes sense to replace it. The new one will pay for itself in energy savings in about 3-6 years. Again! 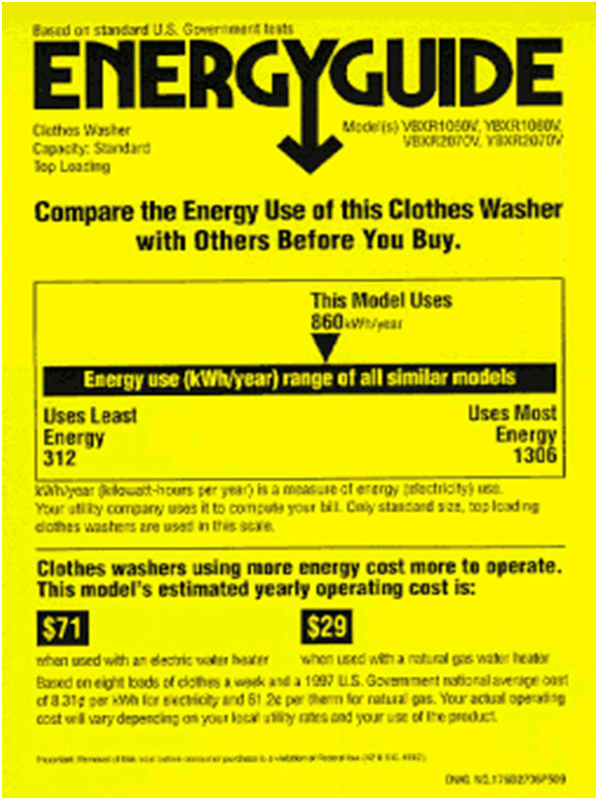 Energy Star appliances are rated by size class. Look for the smallest refrigerator that fits your needs! Bathrooms: Though you may associate the bathroom with water more than electricity, the two utilities are closely linked, especially if you use an electric water heater. Being conscious of both your electricity and water usage in the bathroom will help you reduce energy costs and maintain a healthy environment. Washer and Dryer Room: Look for a washer that allows you to control the water level and the temperature. Front-loading or “horizontal axis” washing machines use 75% less water than traditional top-loading models. Look for dryers with energy-efficient features, like moisture sensors and cool-down cycles, to save energy and reduce wrinkling. Energy-Efficient Pool Pump Motor (EEPPM): The electric pump motor powers your pool’s filtration system. Because it consumes more energy than any other pool mechanism, it can also yield the greatest energy savings. Next time you need to replace your pool pump motor (every five or six years), consider an energy-efficient pool pump motor (EEPPM). EEPPMs use copper and better magnetic materials to reduce electrical and mechanical losses. As a result, they are longer lasting and more efficient than standard pool pumps. TIP: When you’re installing a new motor, make sure your pump is sized properly or it will consume more energy than necessary for your pool’s needs. Talk to your pool consultant about pool equipment sizing requirements. Automatic Time Clock: An automatic time clock makes operating your filtration system and pool sweep more affordable and convenient. Set the timer to run four to five hours per day in the summer and two to three hours per day in the winter. Try not to use your filter in the afternoons (noon to 6 pm) during the summer months. This lowers strain on the electrical system during peak hours and may qualify (link to 009c1] you for up to $90 from YOUR UTILITIES. NOTE: If you use the services of a maintenance staff, make sure that they do not change the timer’s settings. Pool Cover: Heating a pool without a cover is like heating a house without a roof. If your pool or spa is heated, a pool cover is one of the best energy-saving investments you can make. It will lower your pool heating costs as much as 50%, reduce water evaporation, and cut down on chemical costs. Heat Pump Water Heater: A heat pump water heater is much more efficient than gas or standard electric pool heaters. Though more expensive, a heat pump water heater can also be used to meet your space-cooling or air-conditioning needs while it heats your pool or spa, thus reducing your overall energy costs. Get customized solutions for your home. Don’t lower your thermostat below 78°F, health permitting. Turn your air conditioner off or to a warmer temperature when you aren’t home. Use room fans to increase comfort. Avoid baking and other indoor heat-producing activities on hot days. Ventilate when it’s cooler outside than inside. Change filters or clean permanent filters. Clear weeds and other debris away from the outside condensing unit. Have a qualified, licensed heating and cooling professional check your total system for proper and efficient operation. Providing information on different Rate Plans and Baseline Allocation. Depending on how you use electricity in your home, you may be able to lower your bill with one of your utilities special rate schedules. Complete, detailed pricing information is also available in your utilities tariff book. “Baseline” refers to a specific amount of low cost energy allocated to each of our residential customers. California’s regulated energy utilities are mandated to allocate a baseline quantity of energy to each residential customer based on their geographic zone, the season, and whether the home is all electric or is served by a combination of gas and electricity (i.e. ‘basic’ service). Depending on how you use electricity in your home, you may be able to lower your bill with one of Your utilities special rate schedules. Understanding Baseline: The “baseline allocation” is an established amount of energy (kWh) allocated for basic services such as lighting, cooking, heating, and refrigeration usage. Residential customers’ baseline allocation is established by the California Public Utilities Commission (CPUC) to ensure that all customers can purchase a basic supply of energy at the lowest rate in effect and your specific allocation depends upon your baseline region, the season (winter or summer), and whether your home’s source of energy is electricity only or a combination of electricity and gas. Understanding the Basic Charge: Your utilities Basic Charge for residential customers covers some non-energy costs associated with providing basic services such as bill preparation, meters, meter reading, and customer accounting. This charge ensures that each residential customer, regardless of monthly usage, contributes equitably to cover costs associated with providing basic electric services. Understanding the Late Payment Charge: Your utilities Late Payment Charge is assessed on the total amount of any unpaid, past due bill(s). Bills become past due 19 calendar days from the date of presentation. Information About Your utilities Medical Baseline Allocation Program: If you have a medical condition that requires life support equipment or special environmental conditions, you may qualify for extra savings on your electric bill through Your utilities Medical Baseline Allocation program. The Medical Baseline Allocation program provides qualified customers an additional allowance of low-priced (“baseline”) energy for specific medical life-support equipment and specific illnesses. Schedule D: The Standard Residential Rate: Your utilities Domestic (D) rate schedule is the basic rate for residential customers and has a five-tiered structure. Rates within the schedule increase with the energy consumed above the residential customer’s “baseline allocation.”* Typical Schedule D customers live in single-family homes, apartments, condominiums, or townhouses. Schedule D may also serve multi-family residences, such as residential hotels or qualifying recreational-vehicle parks where you pay your electric bill to YOUR UTILITIES and are in a single location. Baseline electricity allowances are an established level of kilo-watt hours (kWh) provided to residential customers. Pursuant to State law, baseline allowances represent the electricity necessary to supply a significant portion (50-60 percent) of the reasonable needs of the average customer. 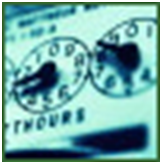 Time of Use Meters (TOU): Your utility has TOU pricing options are available to most residential customers. They benefit customers who can avoid using most of their electricity weekdays between 10 a.m. and 6 p.m. Customers who use most of their electricity during “off-peak” hours could benefit from one of the following time-of-use rate schedules. TOU-1 Pricing Option: Your utility typically has a pricing option available to most residential customers. It can benefit customers who can avoid using most of their electricity weekdays between 10 a.m. and 6 p.m. and who use between 400 and 600 kilo-watt hours (kWh) per month. TOU-2 Pricing Option: Your utility typically has more than one pricing option available to most residential customers. They benefit customers who can avoid using most of their electricity weekdays between 10 a.m. and 6 p.m. and who use more than 600 kilo-watt hours (kWh) per month.